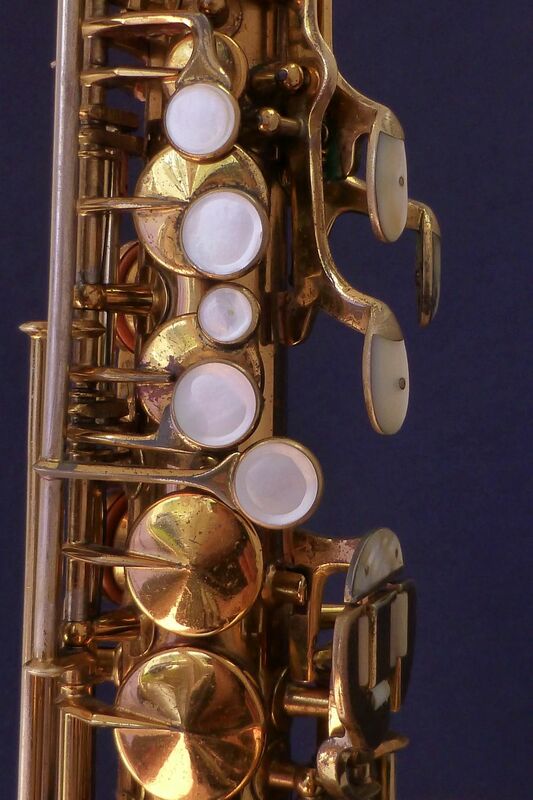 This is one of the first Zephyr Specials built, with full pearls and a solid silver neck. 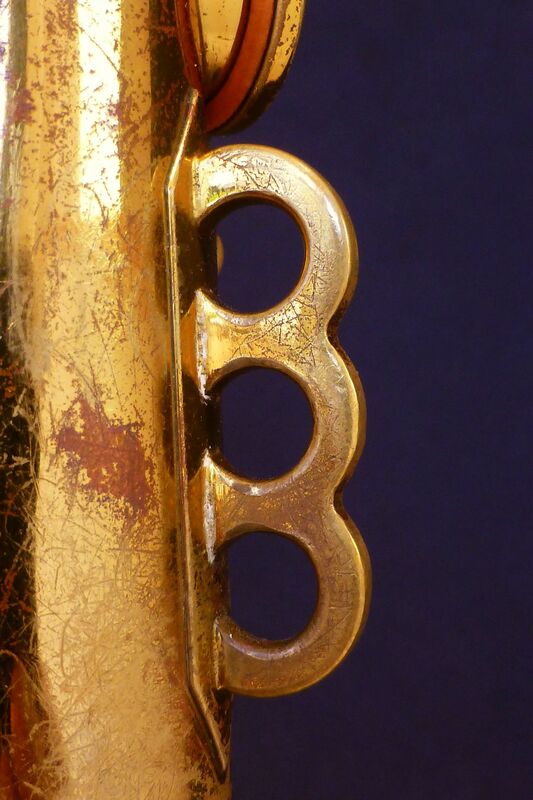 Production starts in 1937 approx. 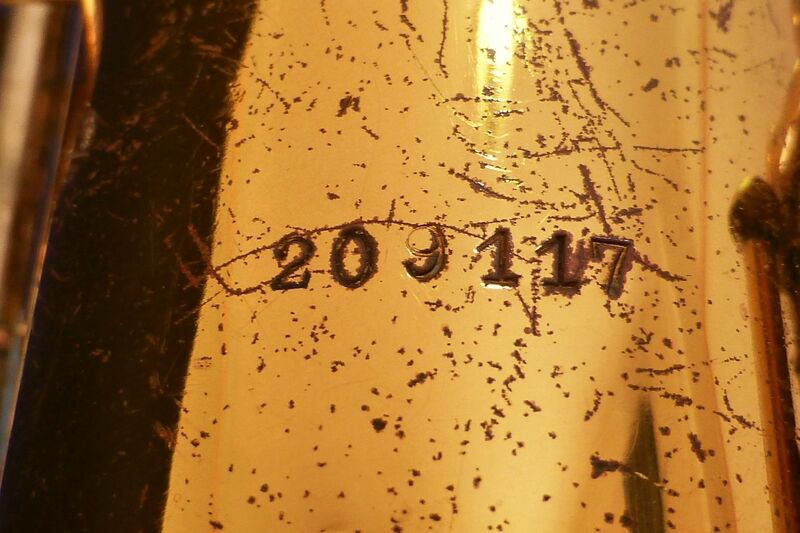 at number 209000, this is 209117. 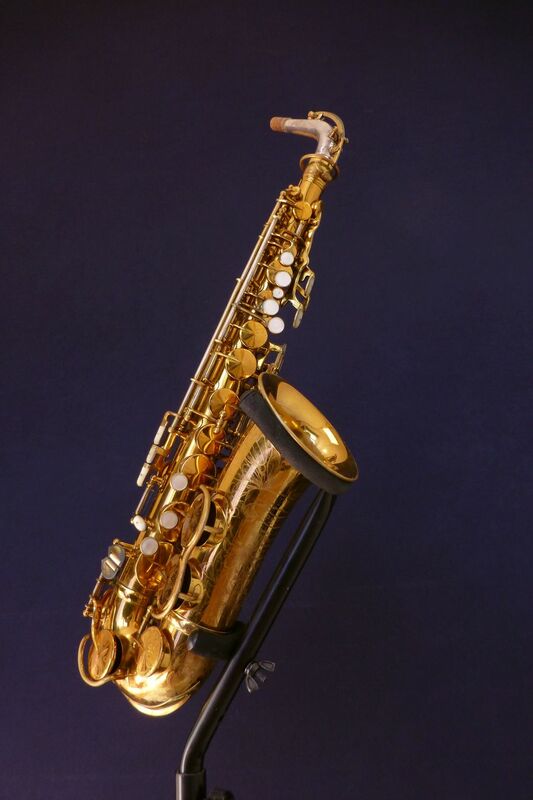 It has been played a lot and for a reason. 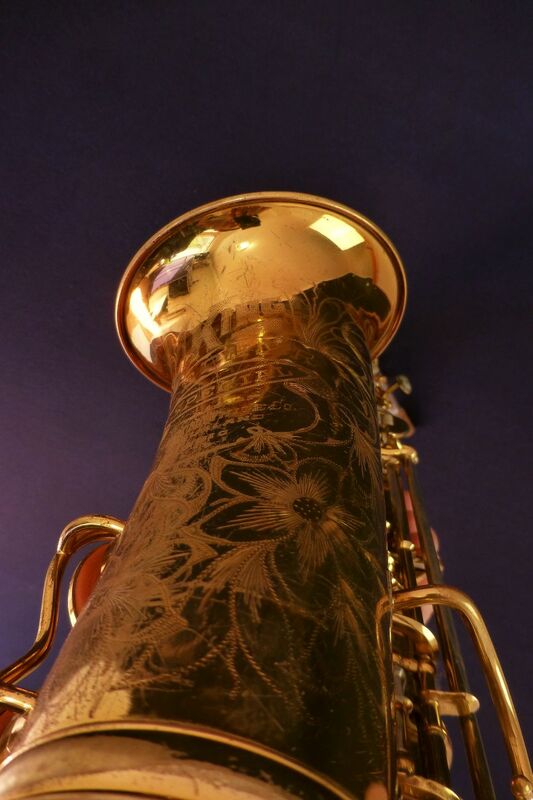 The sound is really great: clear with a cutting edge and lots of volume. 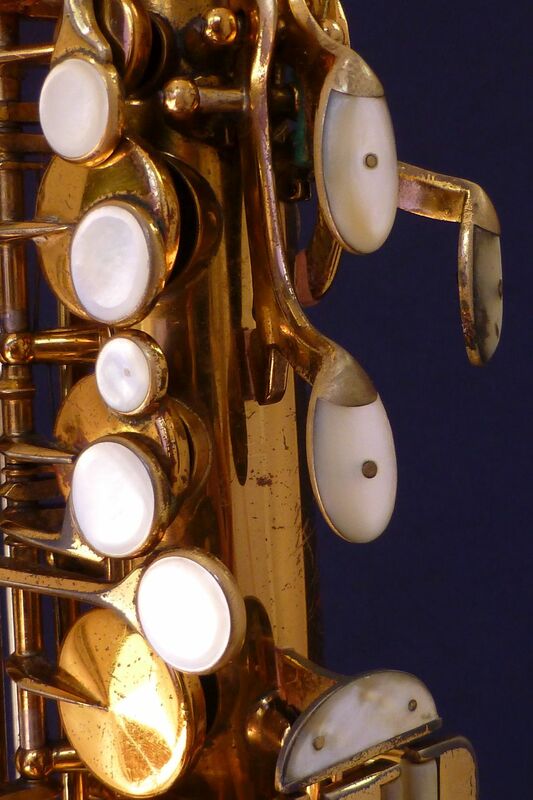 Still there is no play on the rods at all. 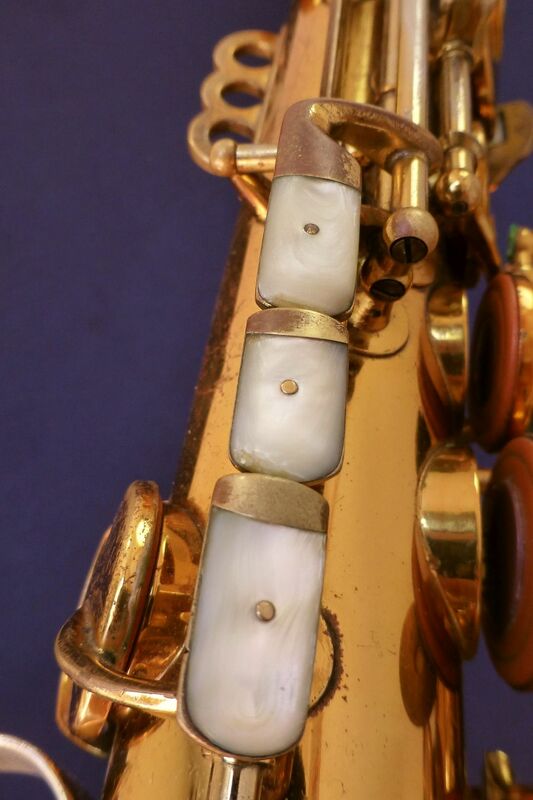 Most of the pads have been replaced, the instrument has been serviced extensively. 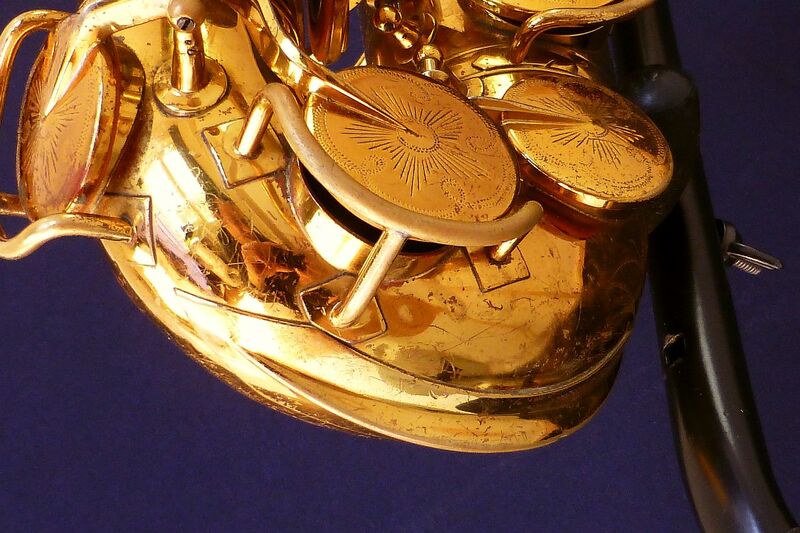 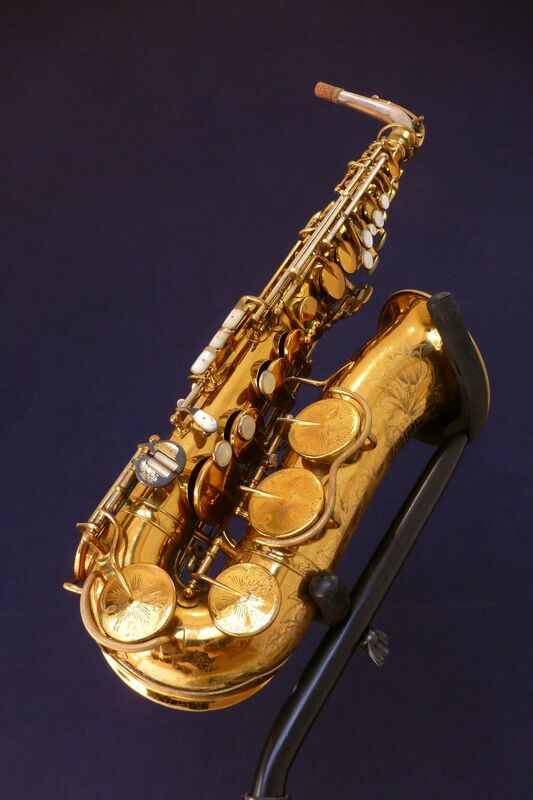 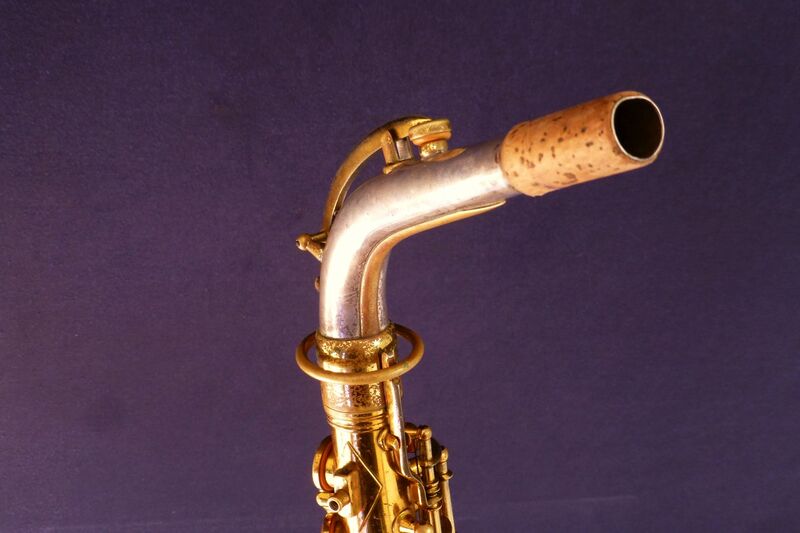 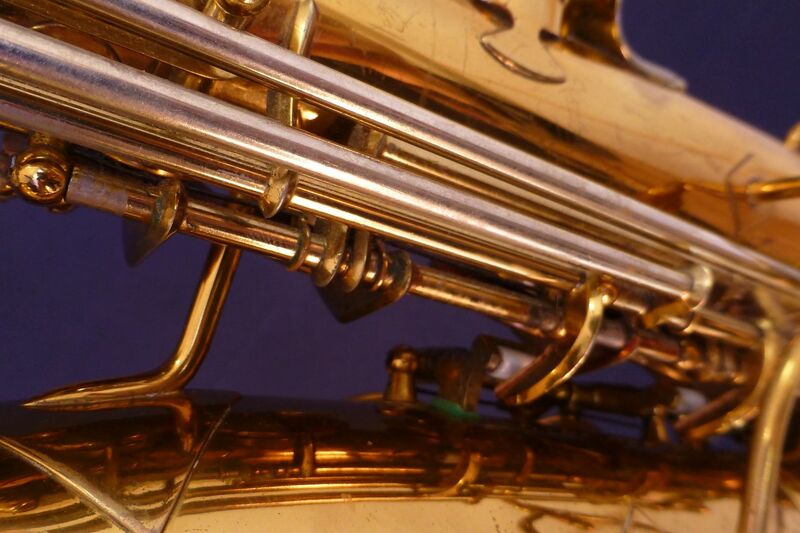 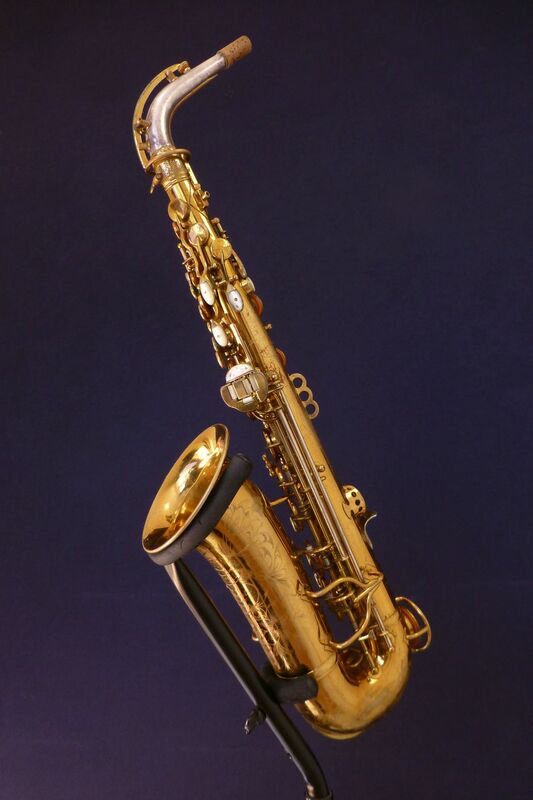 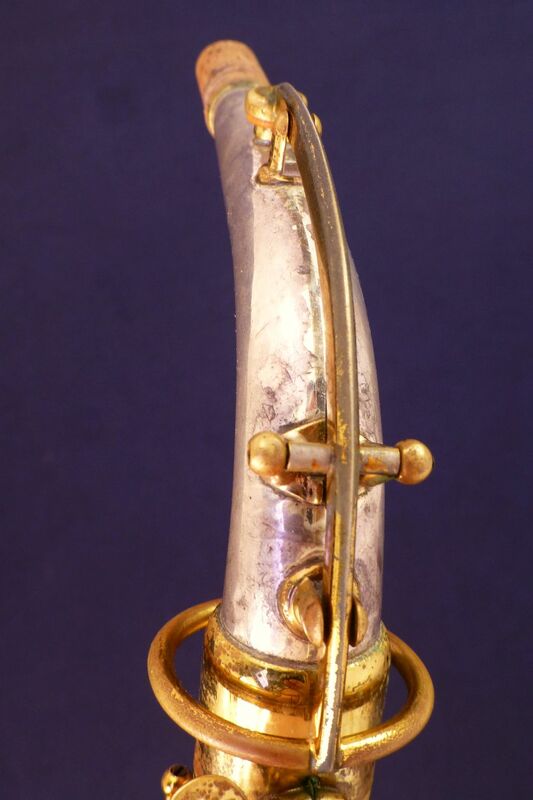 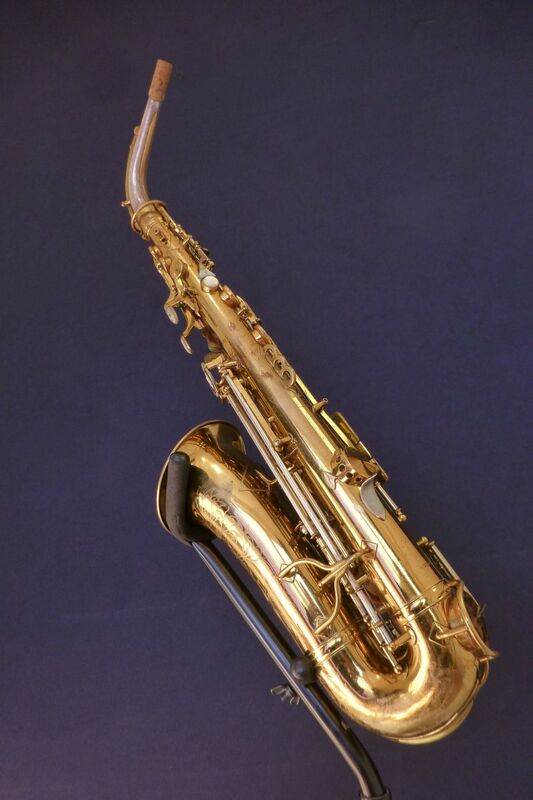 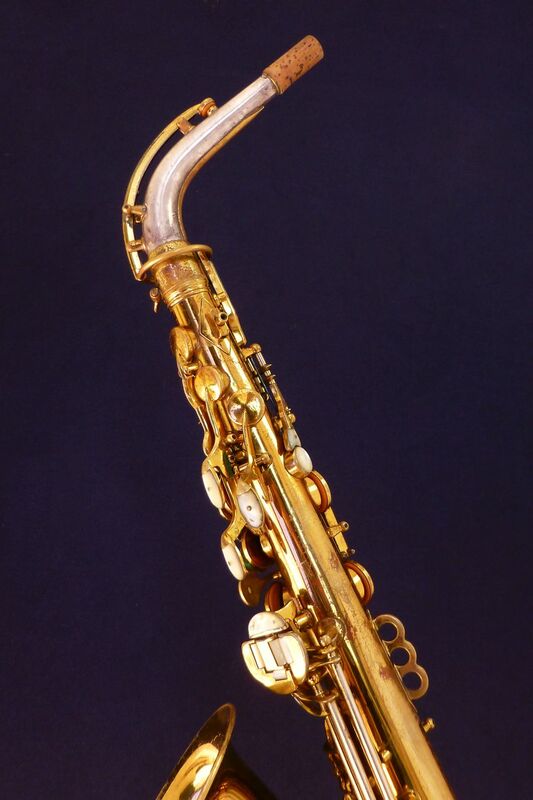 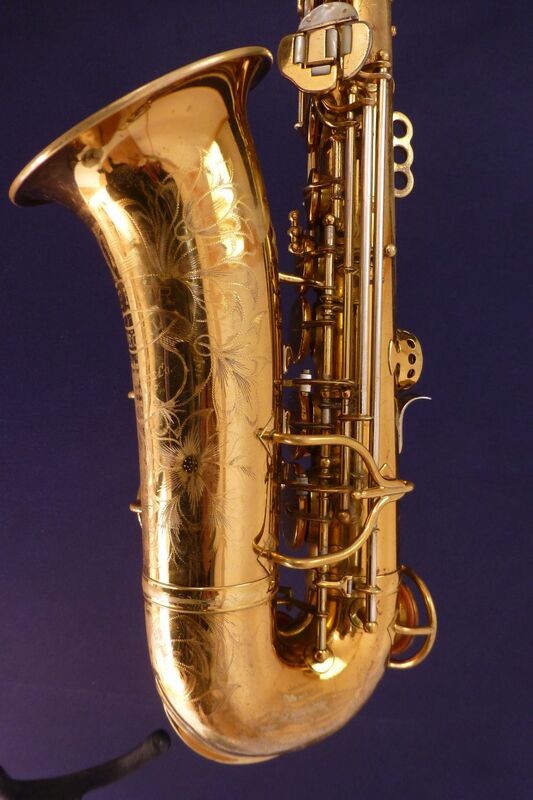 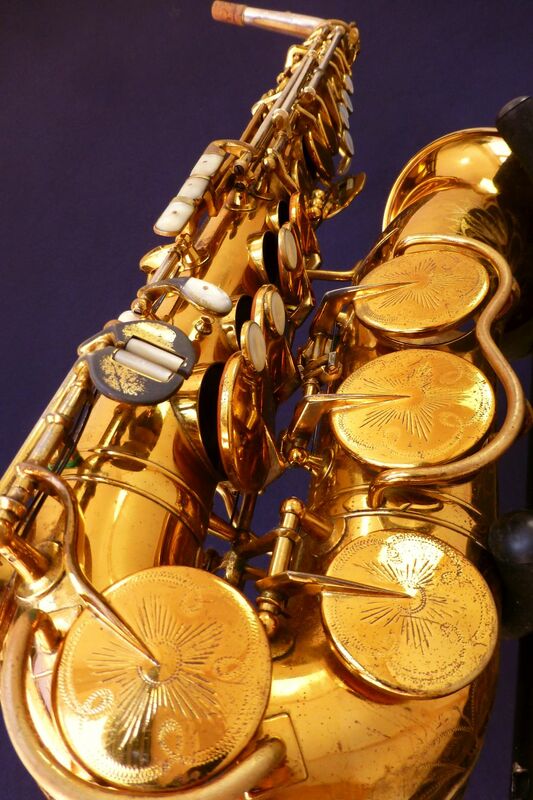 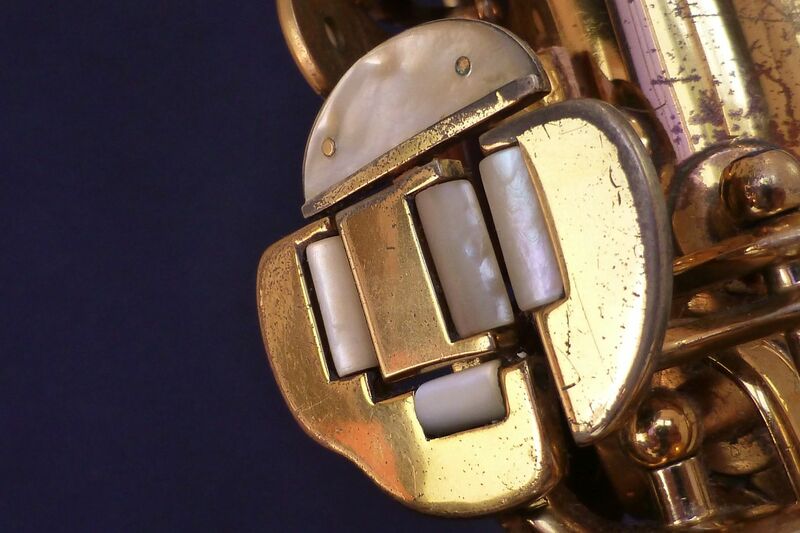 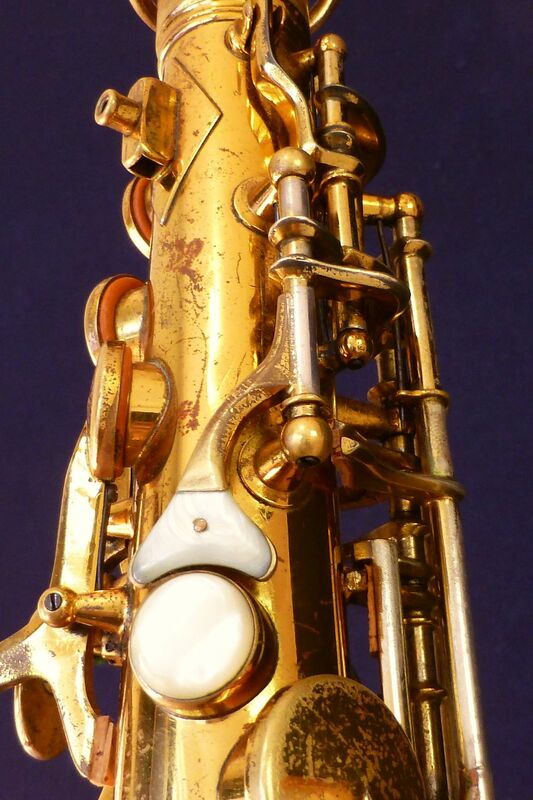 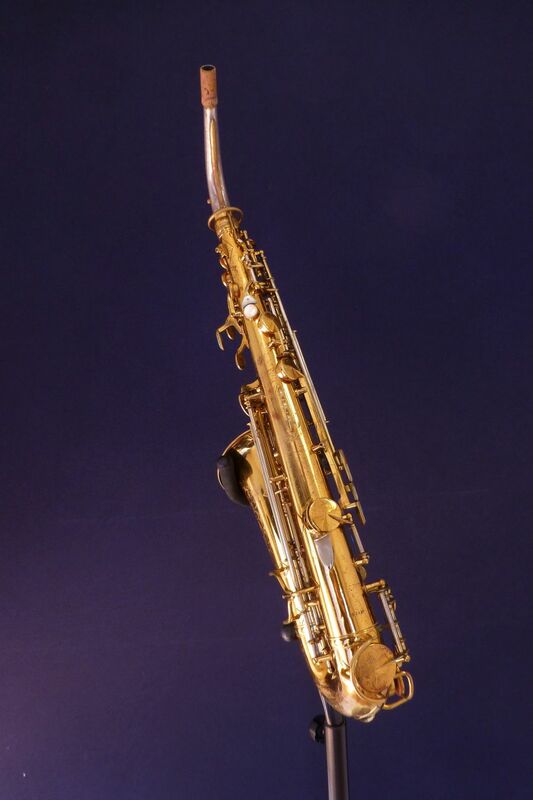 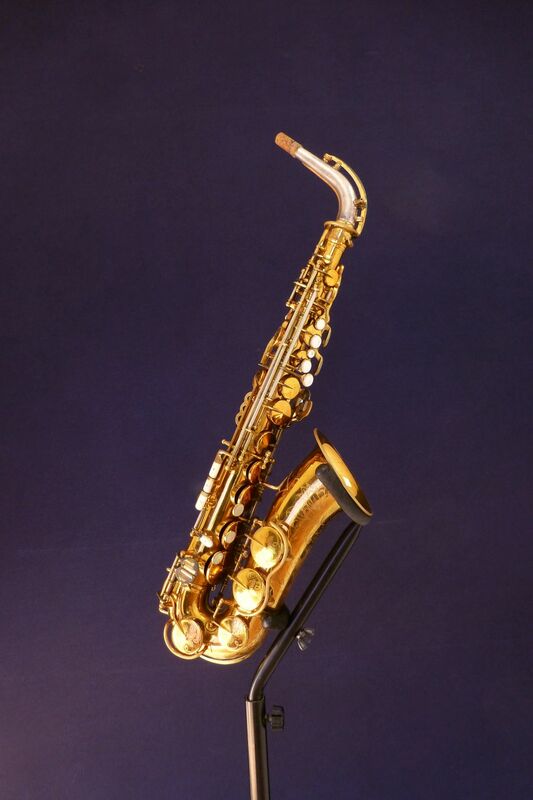 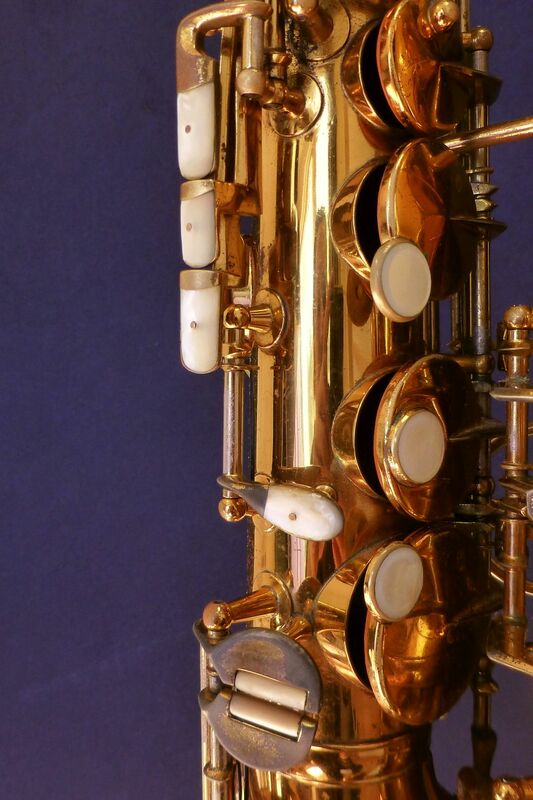 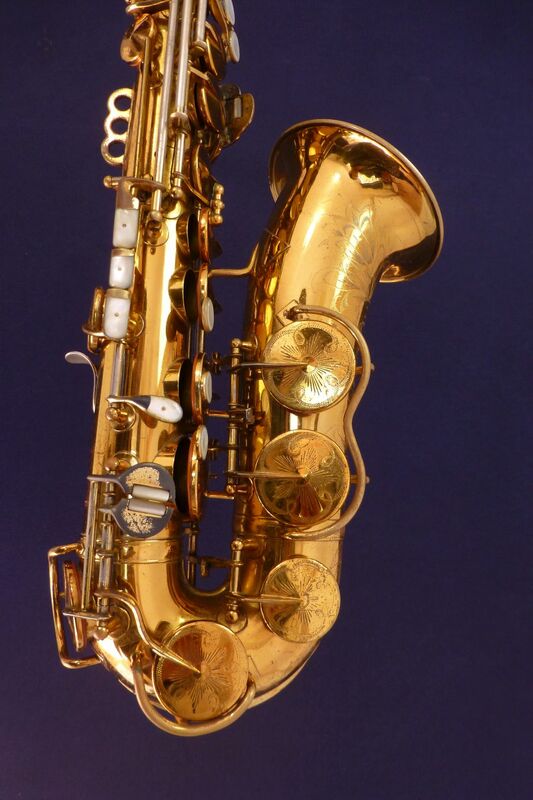 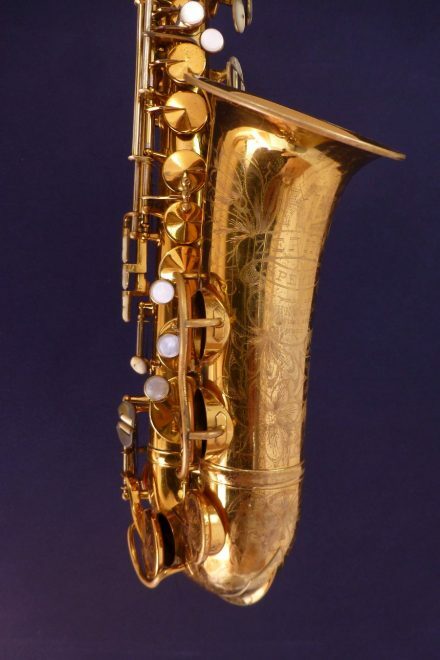 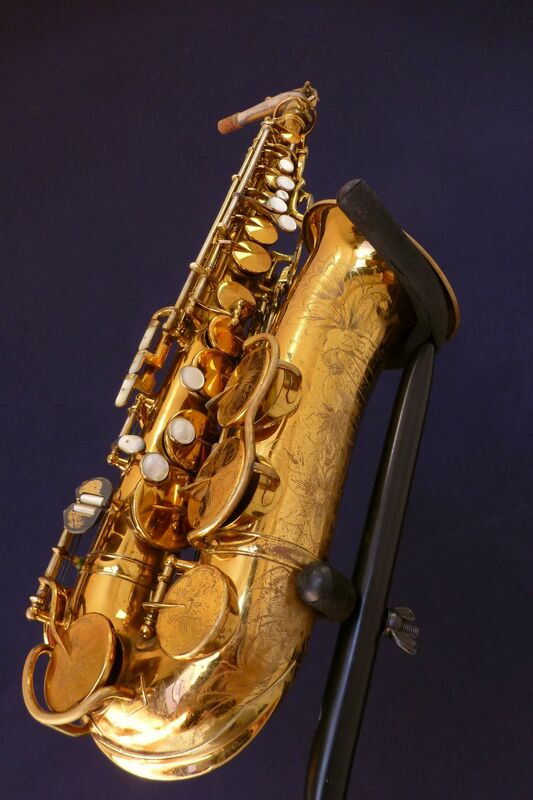 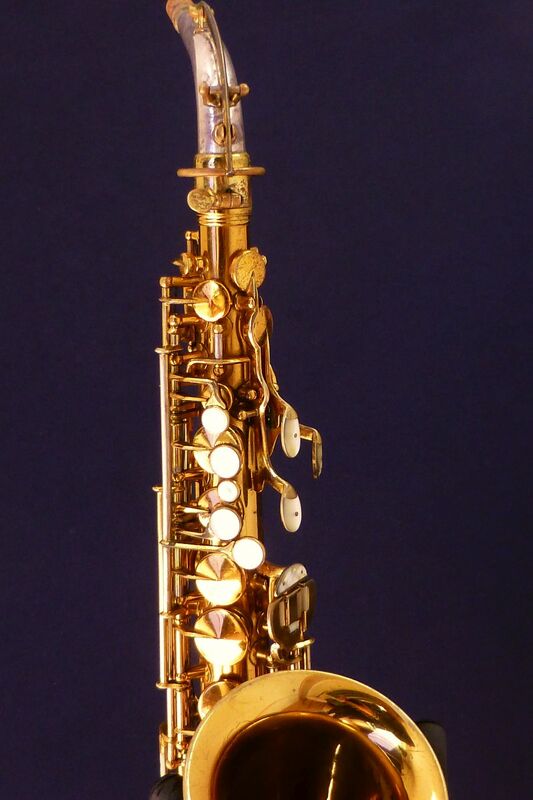 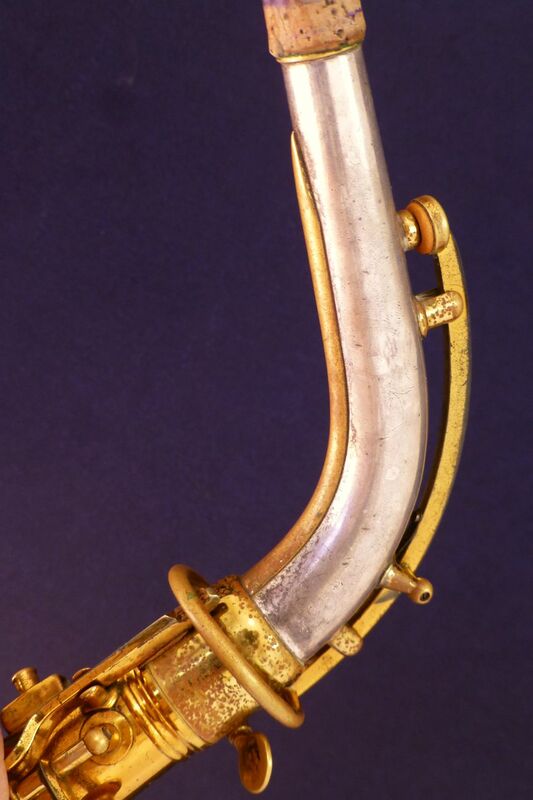 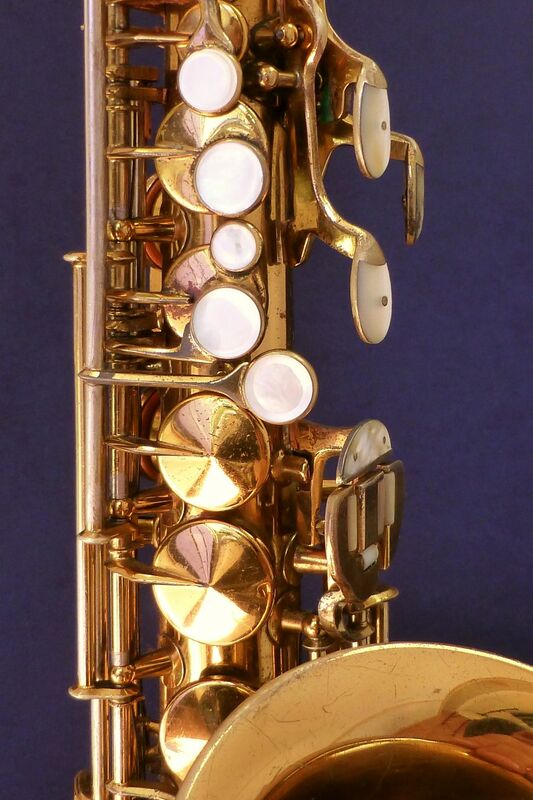 Great vintage saxophone with a modern Cannonball Adderly like sound.